Mango lassi is a rich, creamy combination of mango and yogurt, and I personally love it with a generous flavour of cardamom. This popular drink is very easy to make, specially if you use store-bought mango pulp. I usually make this with Deep kesar mango pulp. You can use fresh mangoes too - just peel them and use the flesh. The yogurt I used was fairly thick so I added some water, but you need not add water if you find the consistency good enough. Also, please adjust the sugar accordingly - some mangoes can be very sweet and may not need much sugar. 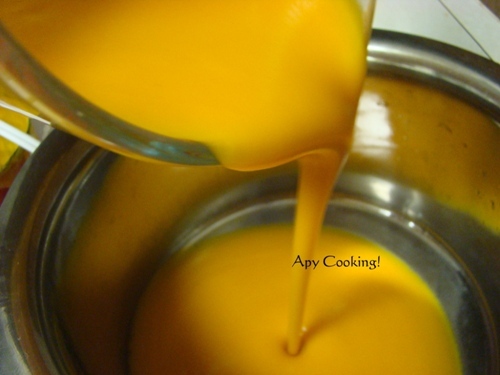 Blend mango pulp and yogurt along with milk. Add water if necessary. Add sugar, adjusting according to taste. Blend well. Sprinkle cardamom and blend for a few more seconds. Serve chilled, with a dash of cardamom powder. mouthwatering! pics r fab--- temptinG!! One of my favourites...Here it is the right time to start making lassies .. I sometimes make Mango Lassi in the chilly months just to beckon Summer a little early. :D So you like adding cardamom haan.. haven't tried that yet. Slurp, feel like grabbing that glass of droolworthy lassi..
Beautiful, creamy & delightful lassi!! This is a healthy and tasty smoothie. I can make it for my son too. 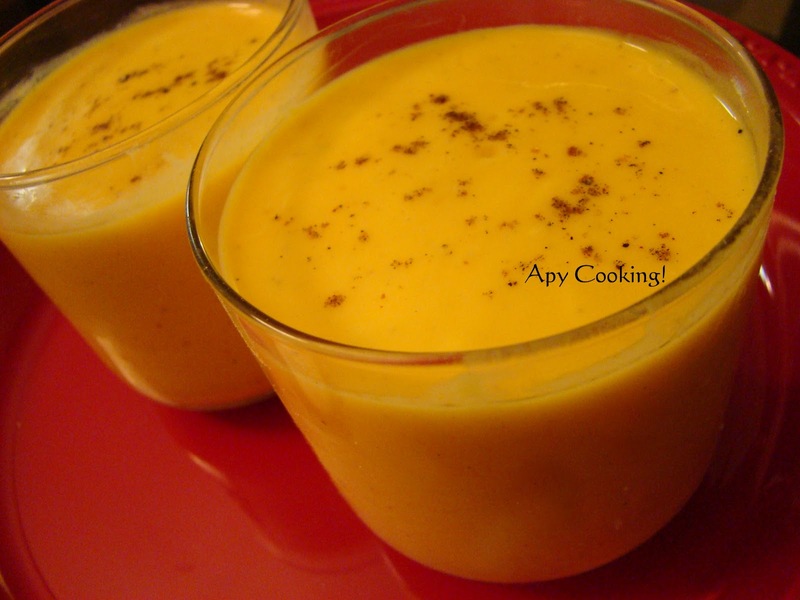 What a dreamy colorful rich and creamy mango lassi recipe you share! Great!! I am new to your blog and I love all those easy simple and delicious recipes! Can have this any time..refreshing. 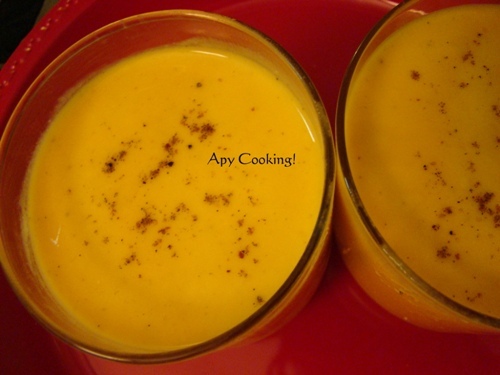 Thank you Aparna for linking this delicious lassi with Any One Can Cook. This looks delicious - and so good for you too! I would also love that with a sprinkle of cardamom. I think that would absolutely make it the most delicious. Thanks for sharing!